Google has updated Hangouts to enable its users to join groups through unique links in order to save group members the trouble of having to add everyone to the group individually by sending out invitations. “This means that even if you don’t have someone in your contact list, you can still quickly add them to your Hangouts conversation by sending a link instead.” Google Staff Software Engineer Jordanna Chord said in a Google Plus post. 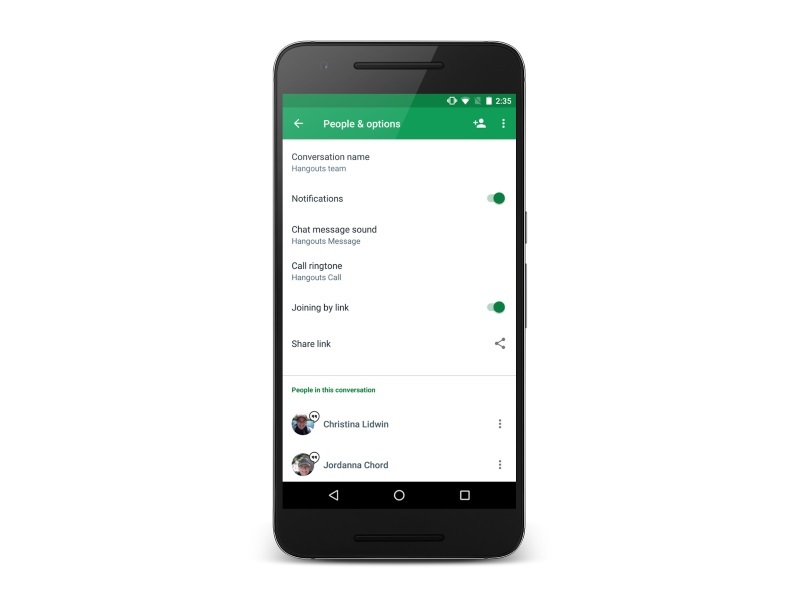 The feature is expected to roll-out over all Hangouts platforms in next few days, she added. This particular feature requires to be switched on for each chat individually and the link for the group chat can be found in that same chat’s settings menu. Importantly, you will also get the option to disallow new members to the group from the link once you decide to do so. You will now also be able to find group conversations by the name of the group or name of group participants. This option is available with the latest update on Android but will be available on iOS soon, Chord said in her post. Earlier this week, the company also started rolling-out its Hangouts v11.0 update that finally brought video messaging to Android more than two years after it came to iOS. The Hangouts v12.0 update foriOS alongside also increased the duration limit on videos to 2 minutes, while the limit on Android was kept at 1 minute. The v11.0 update also included one other change that was common to the updated Android and iOS apps of Google Hangouts, that is, ability to kick users out of group conversations.